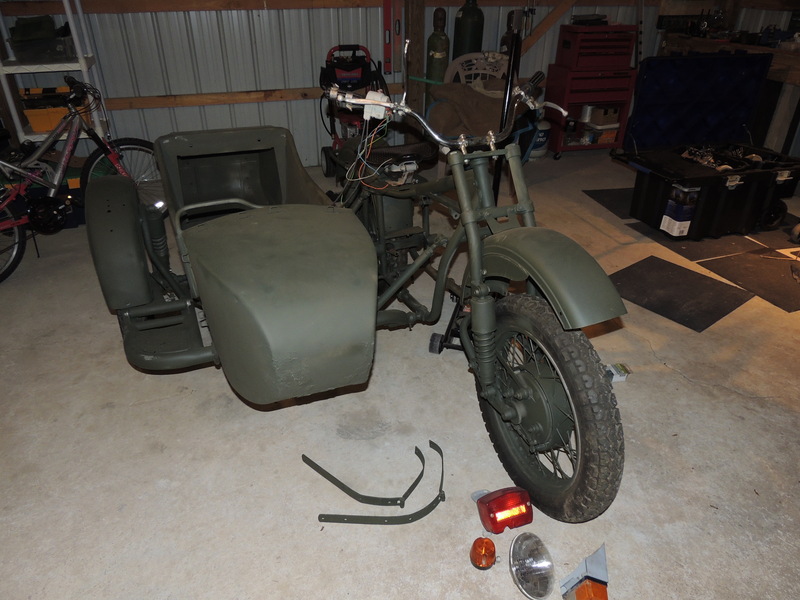 November 19, 2014 – Initial inventory and pics for Holopaw’s take on what I have on my hands. 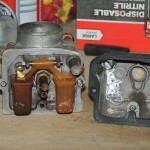 Today’s conversation was about a starter (that he has) an alternator (that he may have) and the fuel and intake parts. 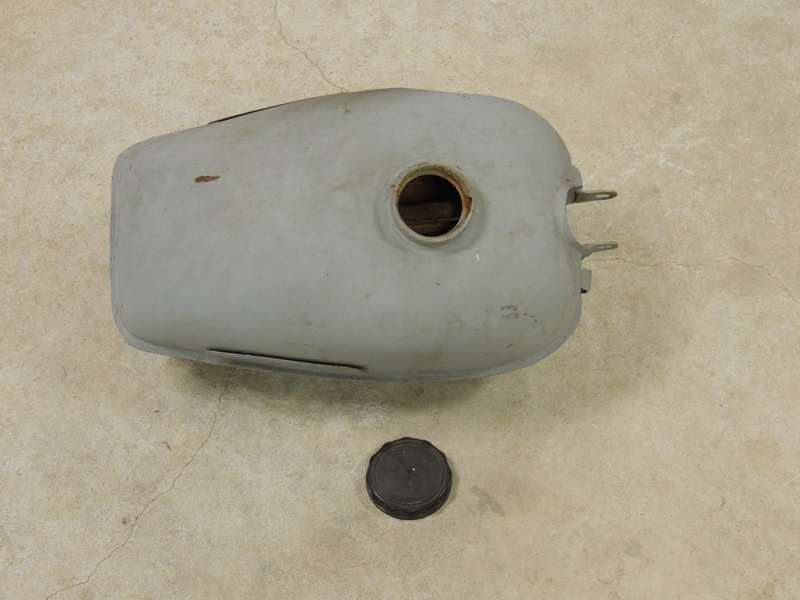 The Tank– Here’s the one that came in the crate- with the dent and the amount of corrosion, a new tank is going to be the way to go here. 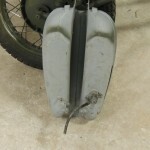 The attached petcock is damaged (one of the arms on the Y is broken off). 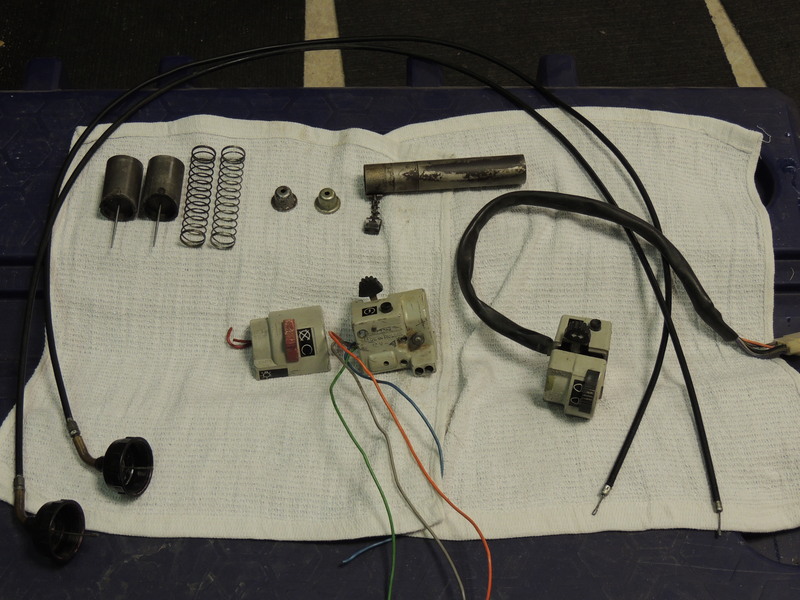 So Terry, gonna need the whole setup. 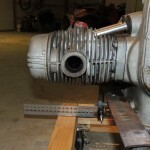 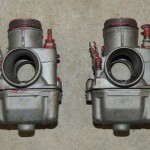 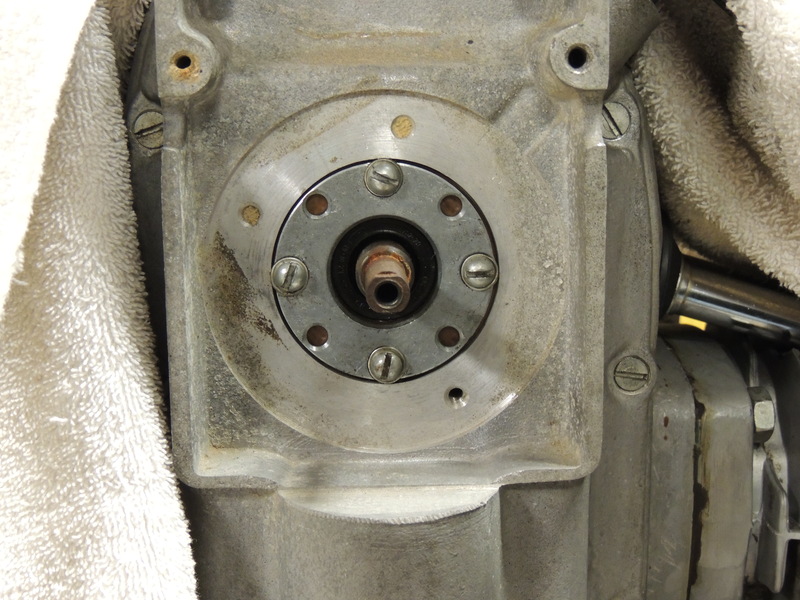 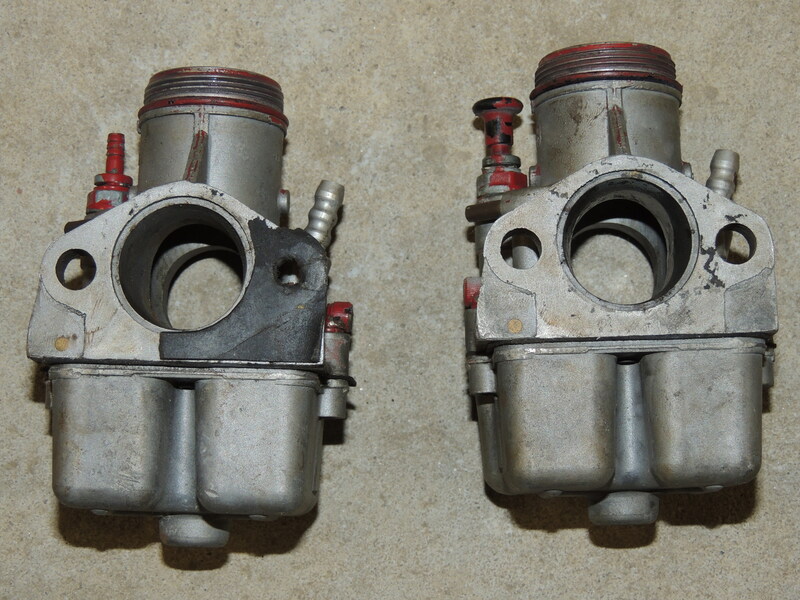 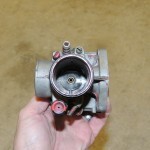 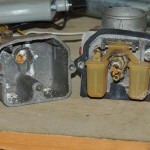 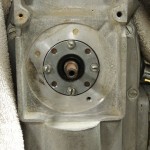 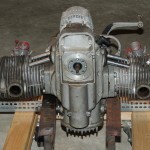 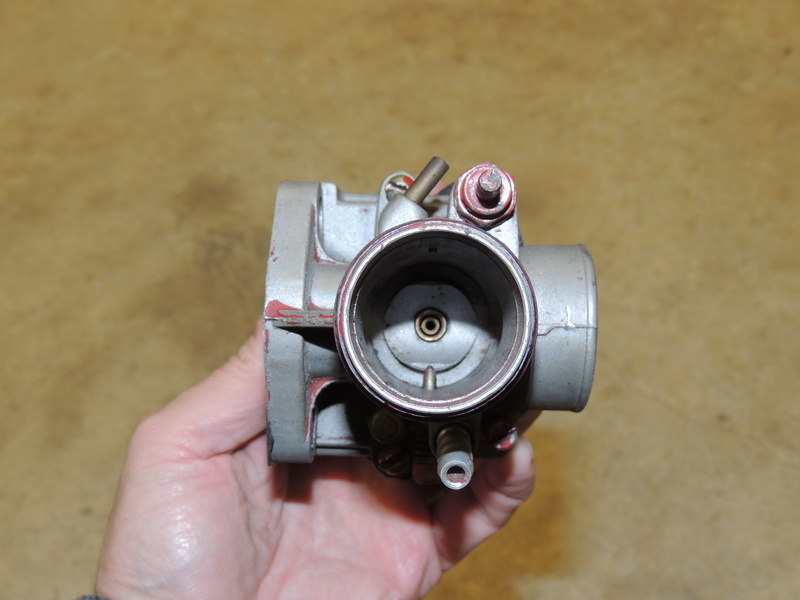 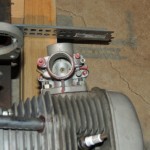 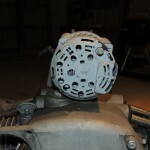 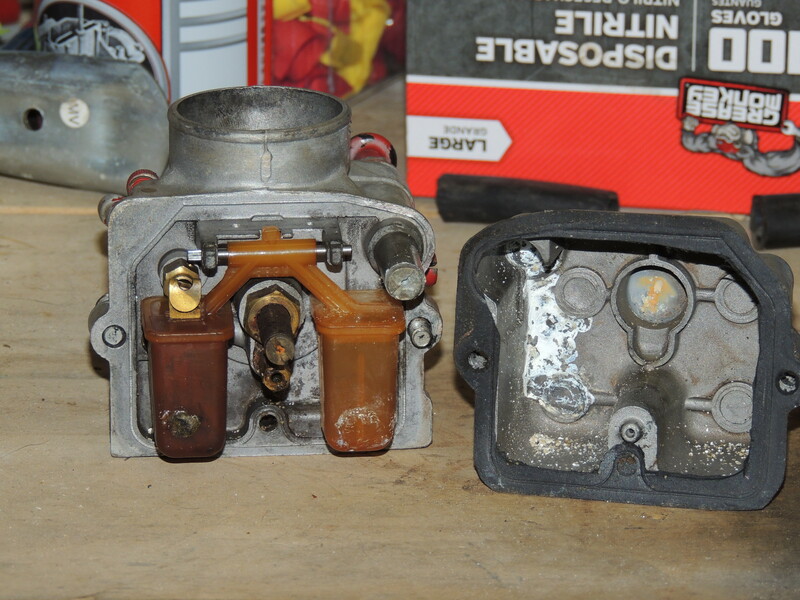 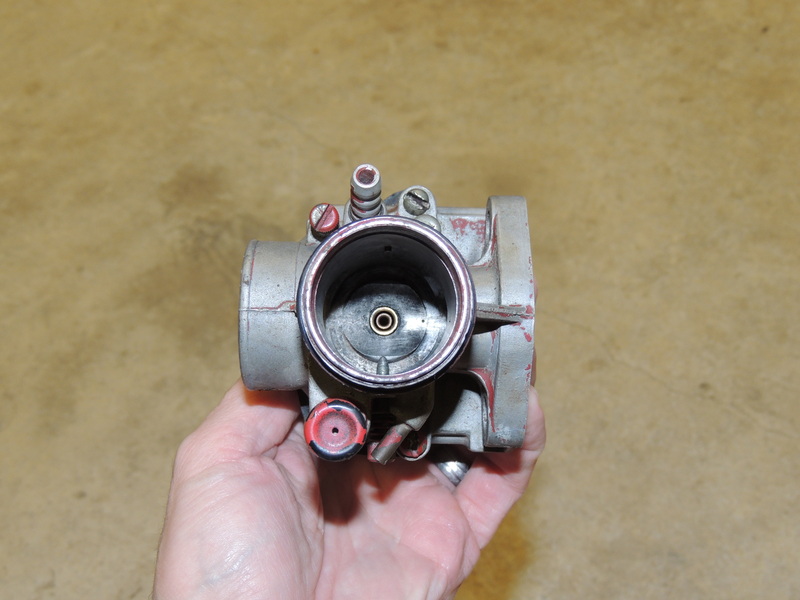 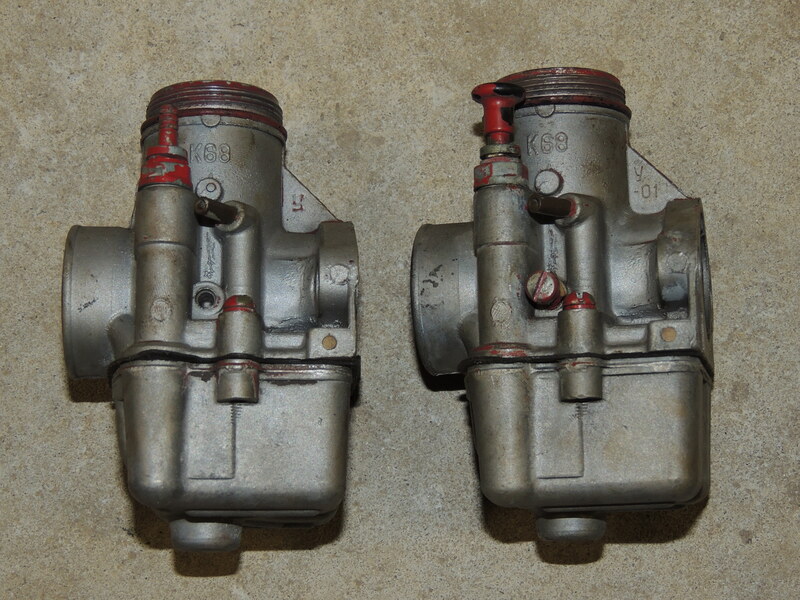 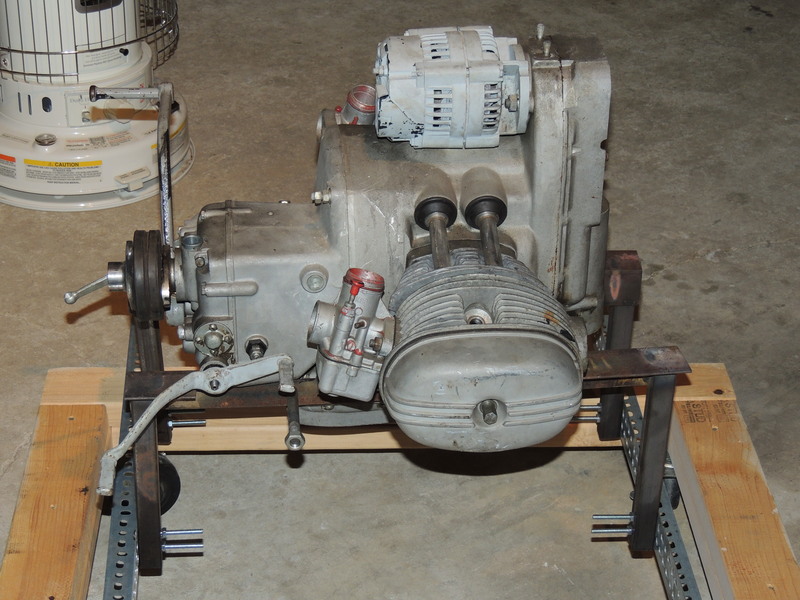 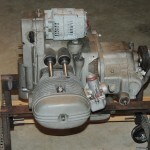 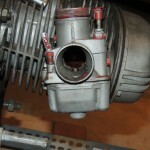 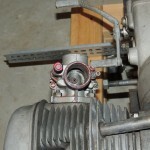 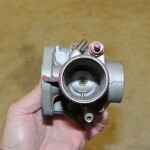 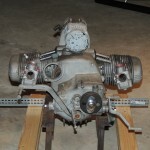 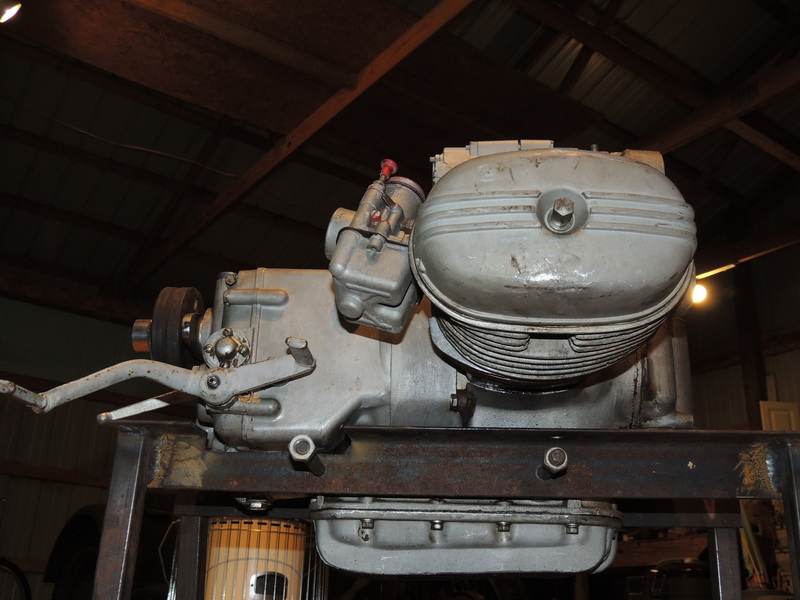 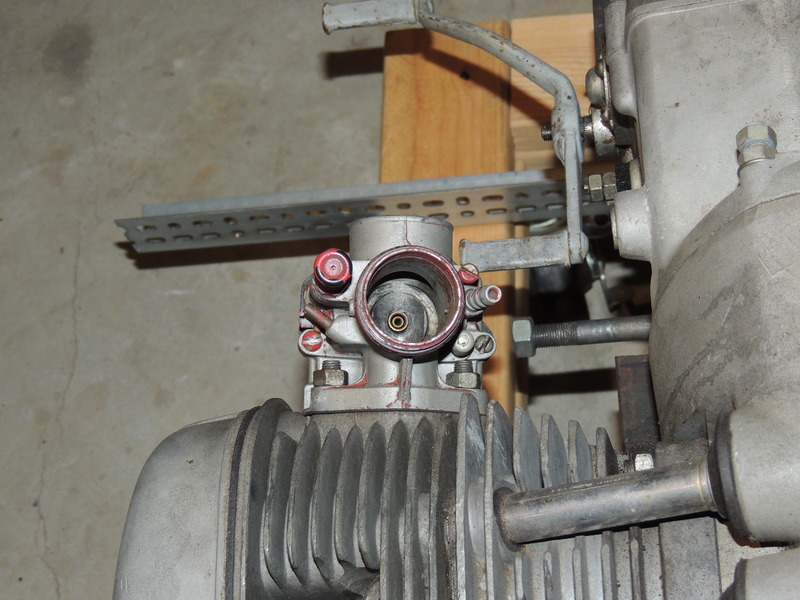 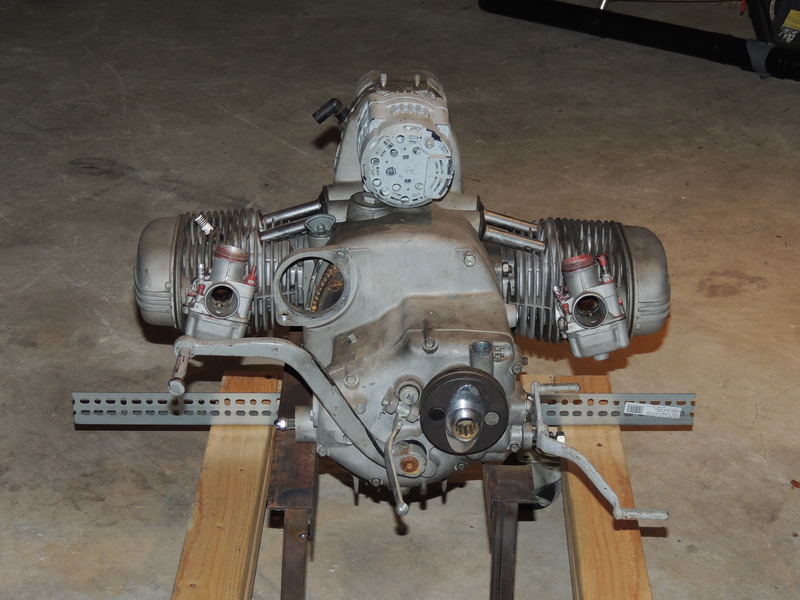 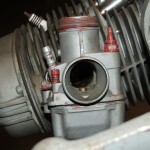 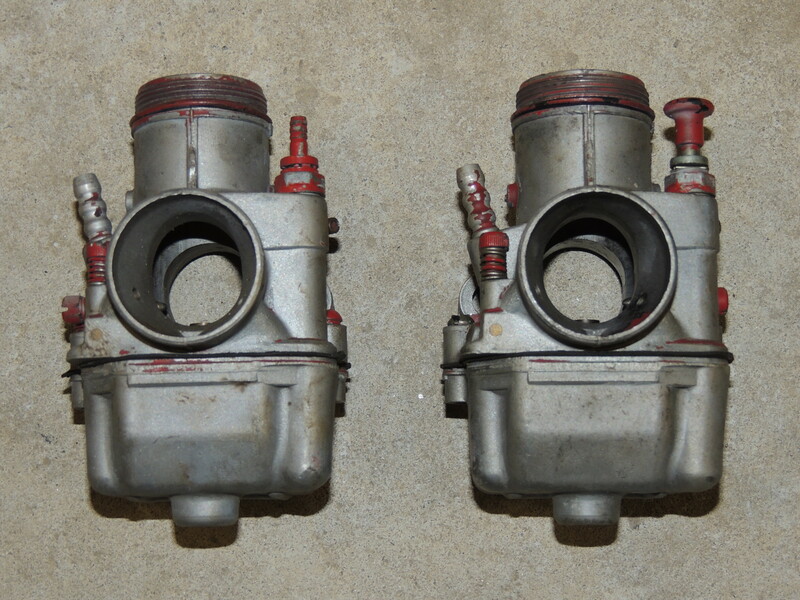 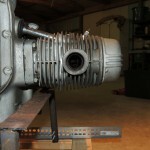 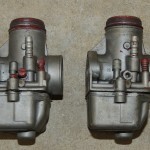 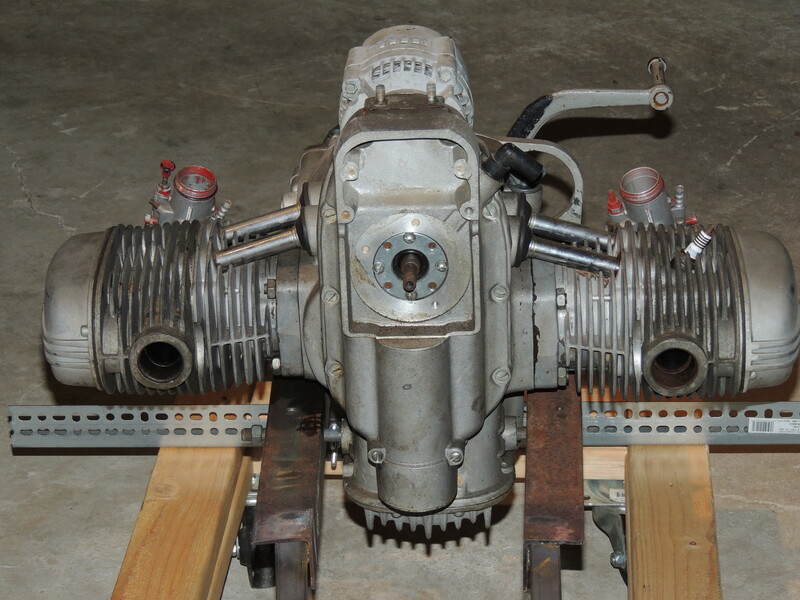 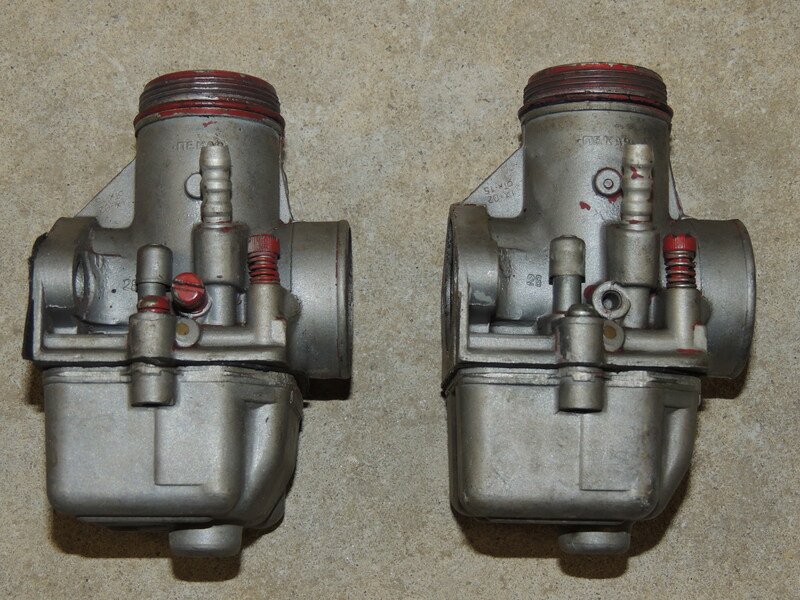 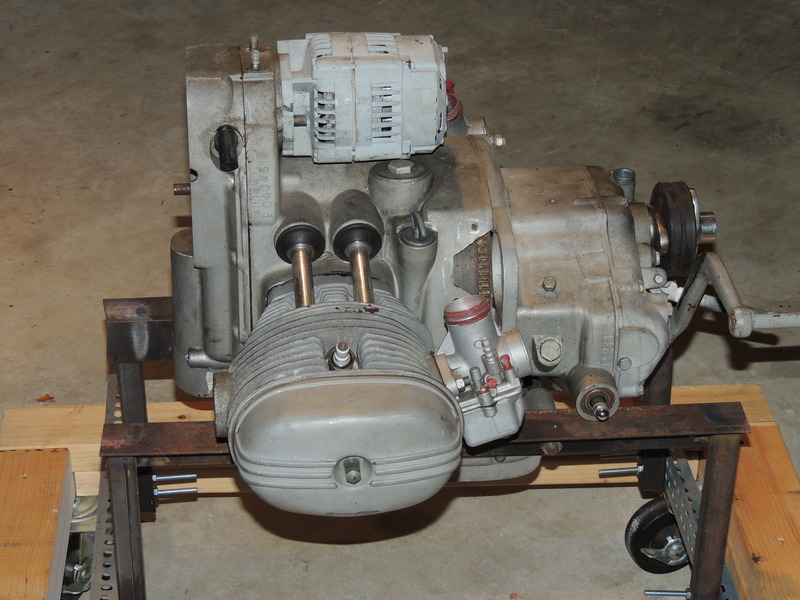 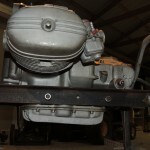 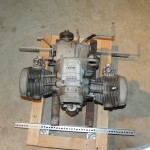 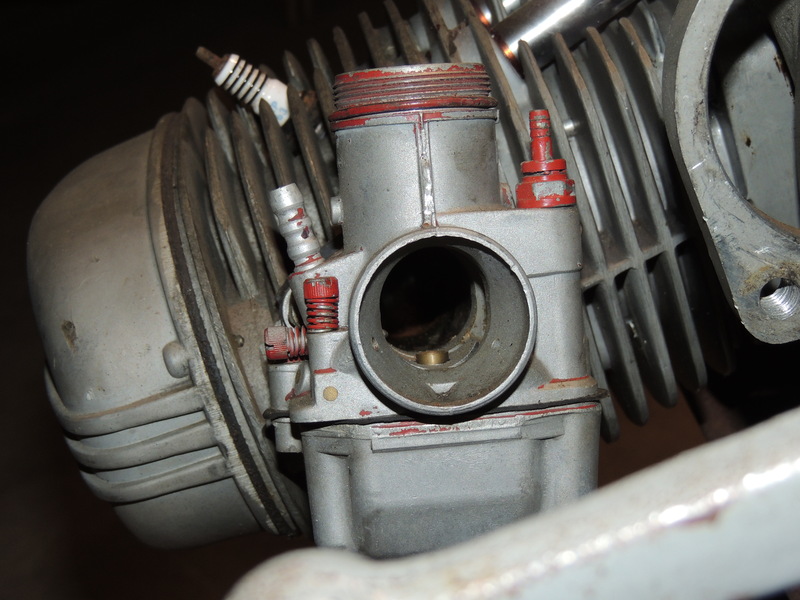 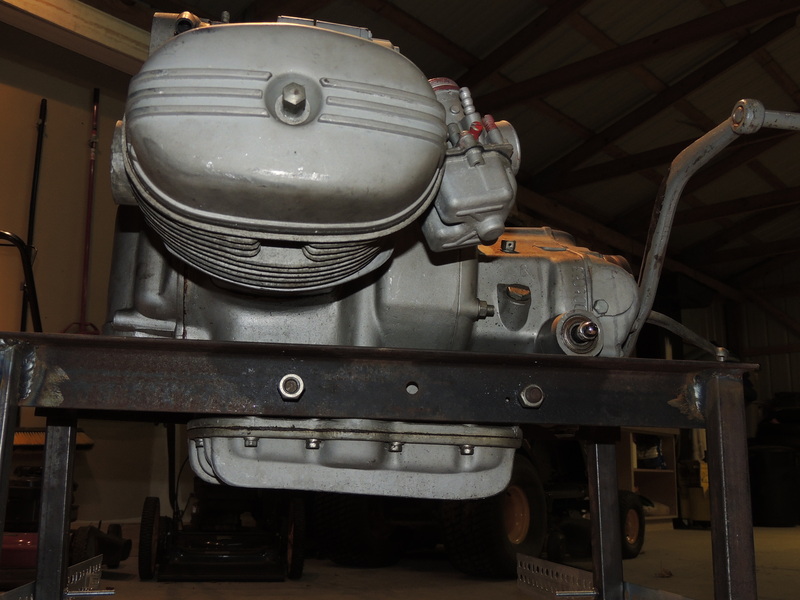 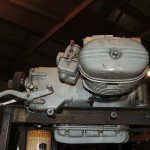 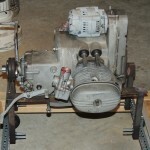 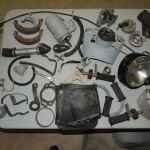 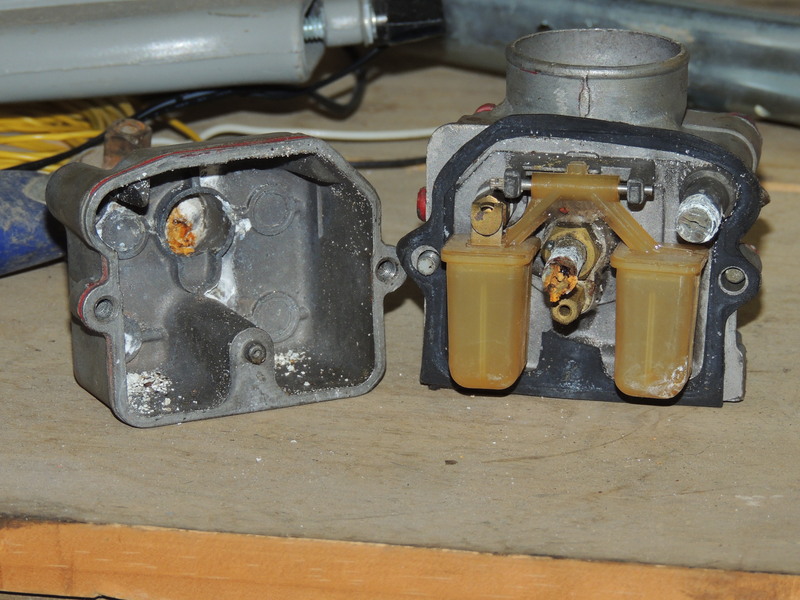 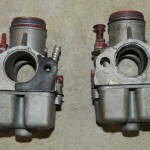 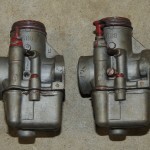 The Carburetors– The K68 carbs are in pretty rough shape and I’m hoping they can be salvaged. 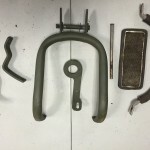 I’m totally going to need professional help getting these right. 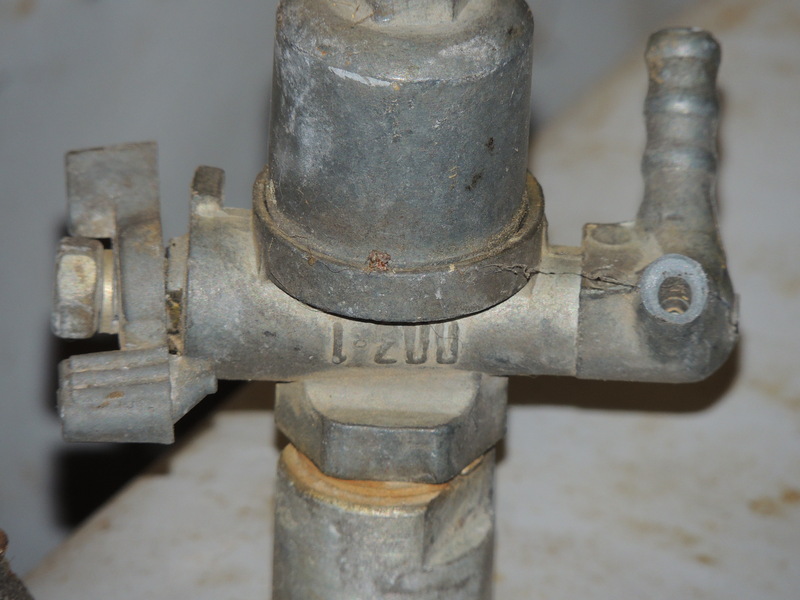 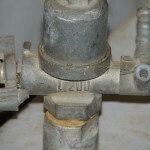 there appears to be a lot of corrosion in the left float chamber (Fig 34). 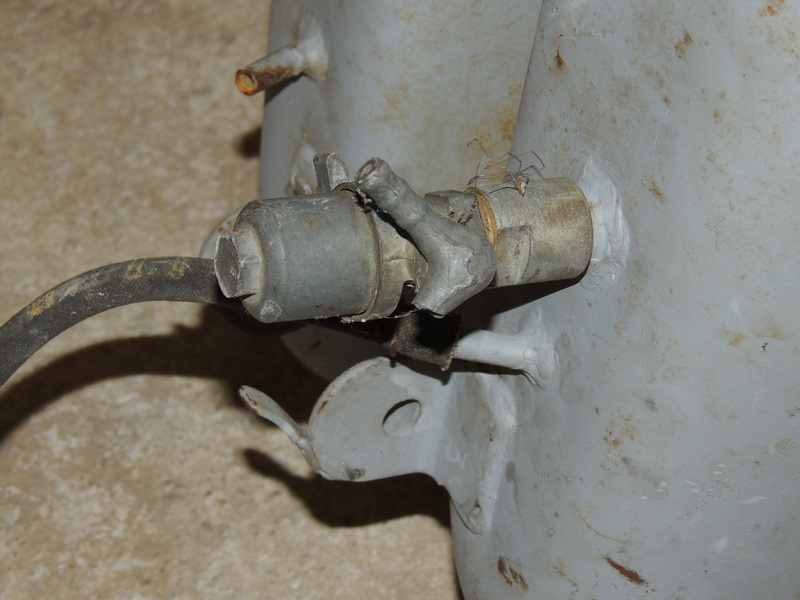 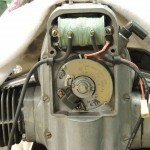 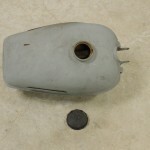 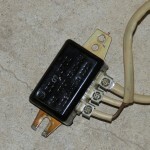 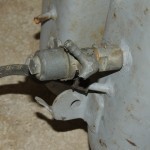 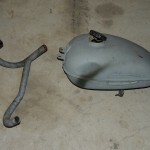 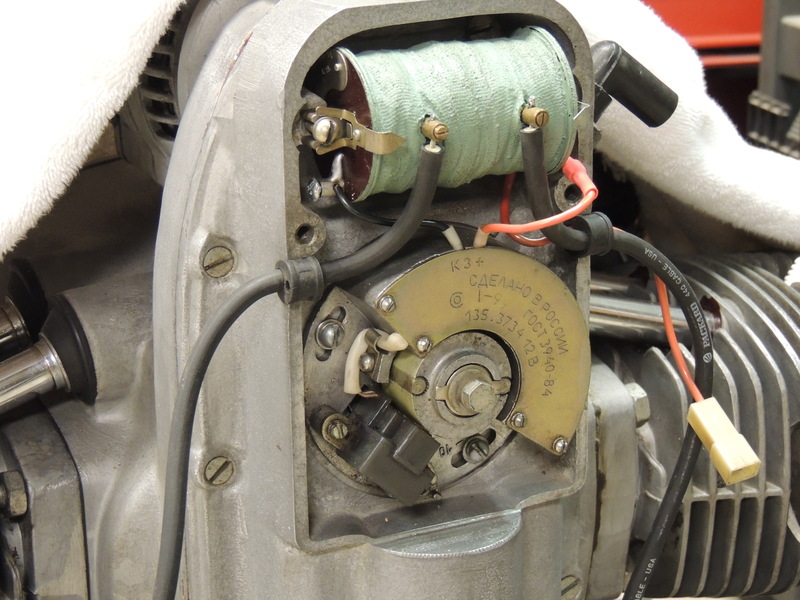 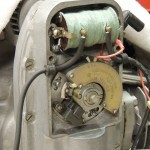 There was corrosion all the way through the throttle cable and into the throttle assembly (Fig 21). 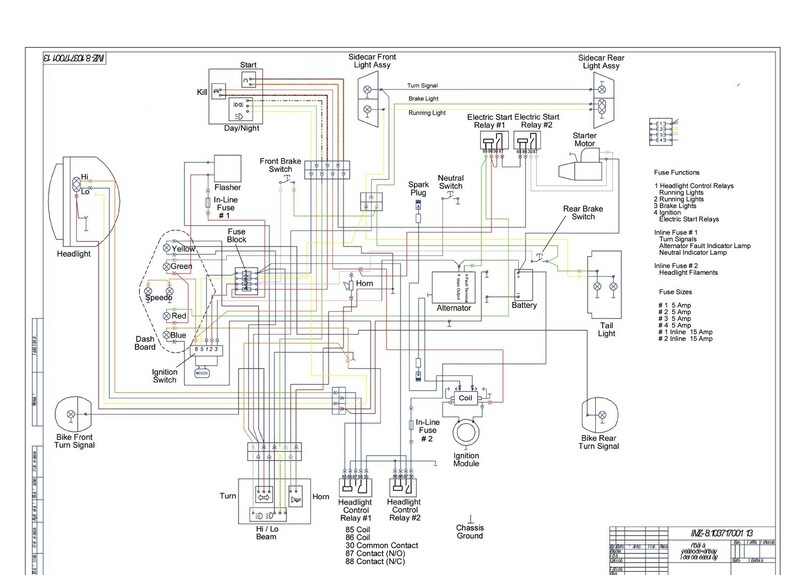 Suggestions on how to proceed welcome! 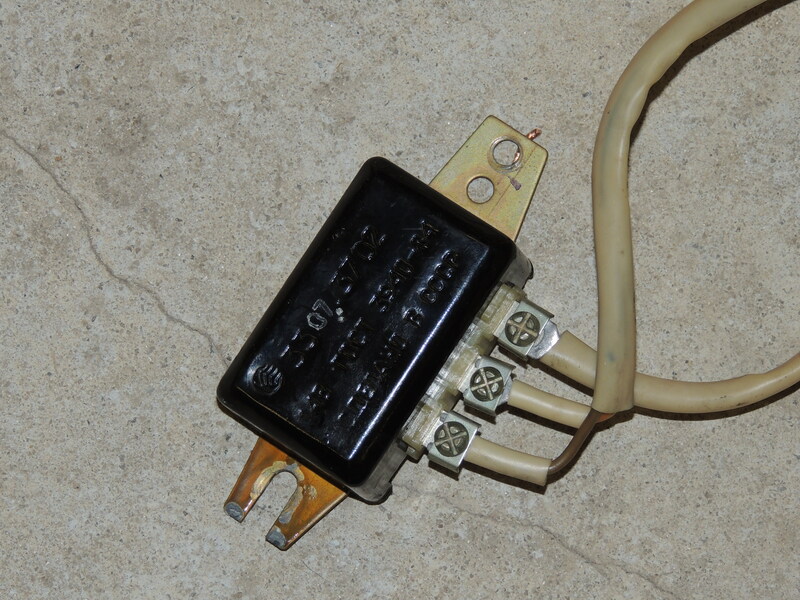 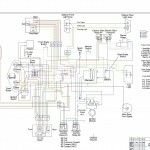 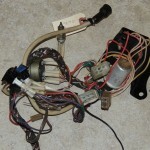 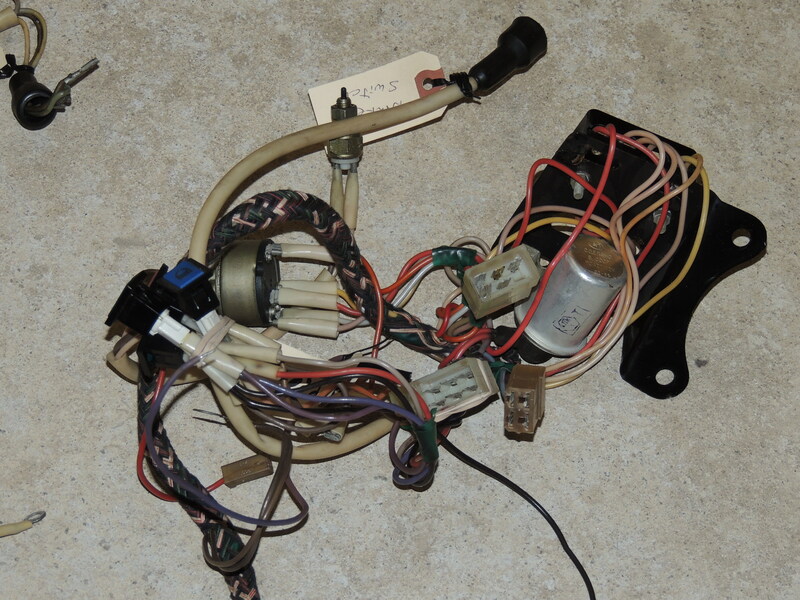 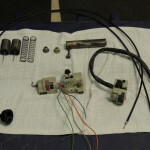 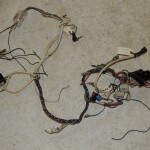 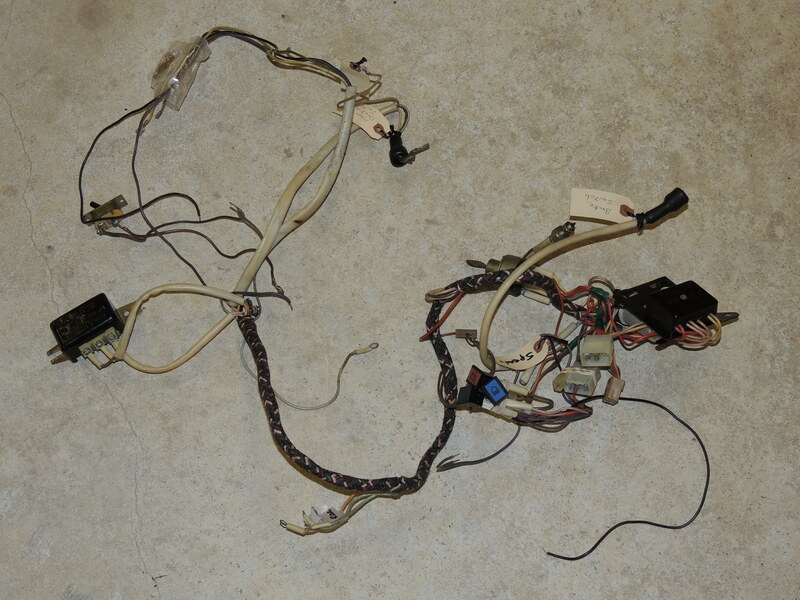 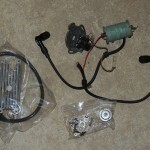 Electrical– Terry Crawford sent me a wiring harness and a bunch of other accessories for a nominal fee. 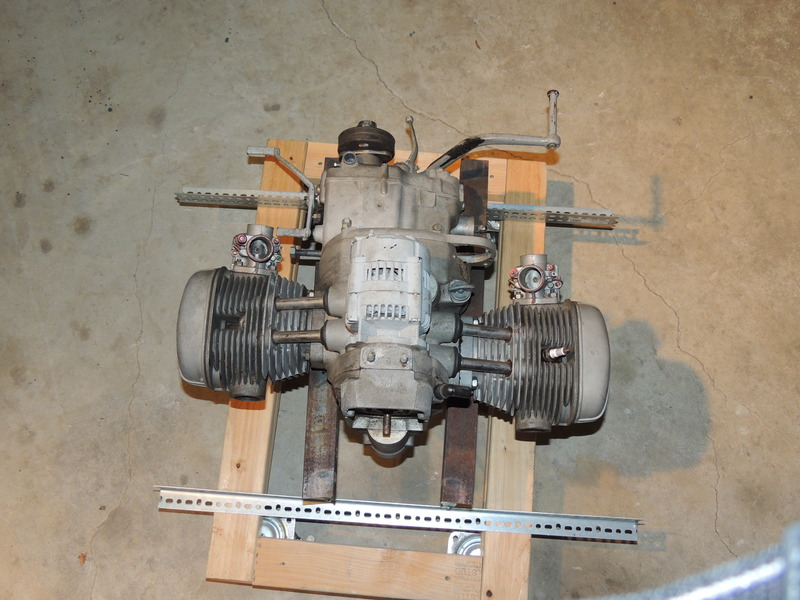 RidingDonkeys insisted I have the talent to build my own, and that is most probably true, but after doing the math of money over time- this was a great deal. 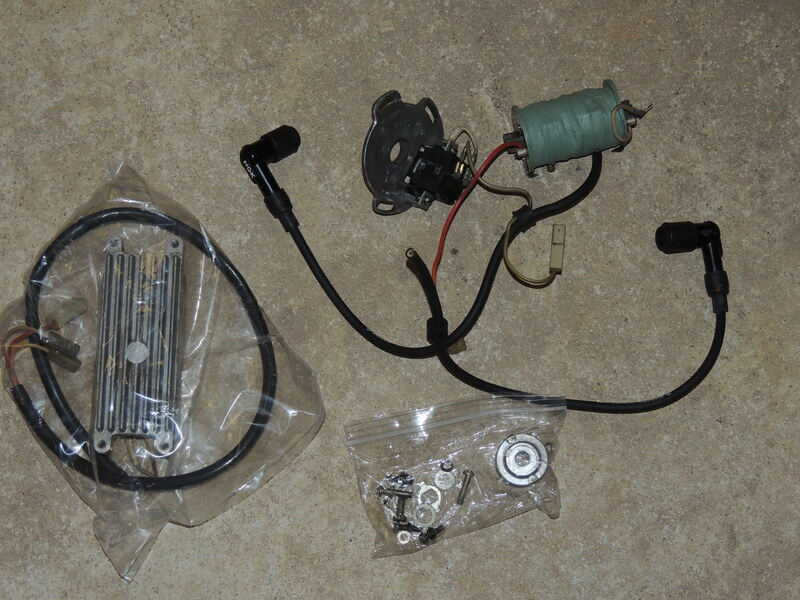 I was going to go eith the PowerArc ignition ($350), but after talking to Bural from SovietSteeds, it was suggested that these bike actually run better with less precise ignition systems. 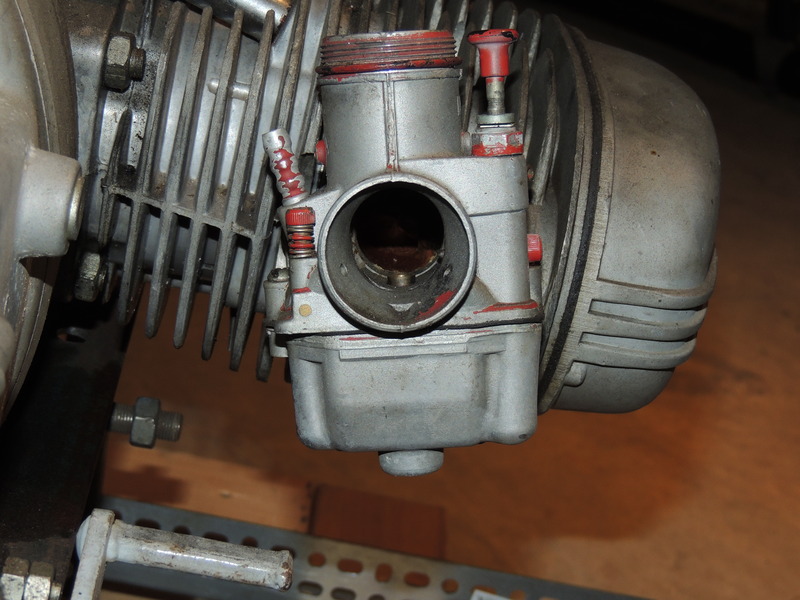 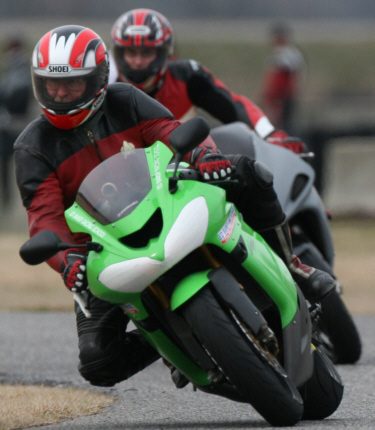 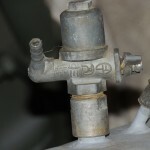 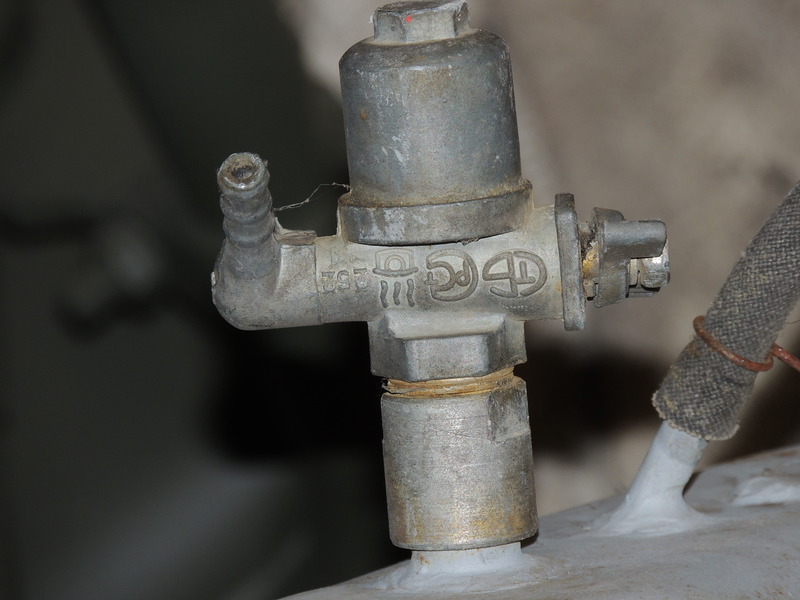 If this was a newer build- then most diffidently go newer ignition, but for a 650 Iraqi Oilfield Bike… go old school. 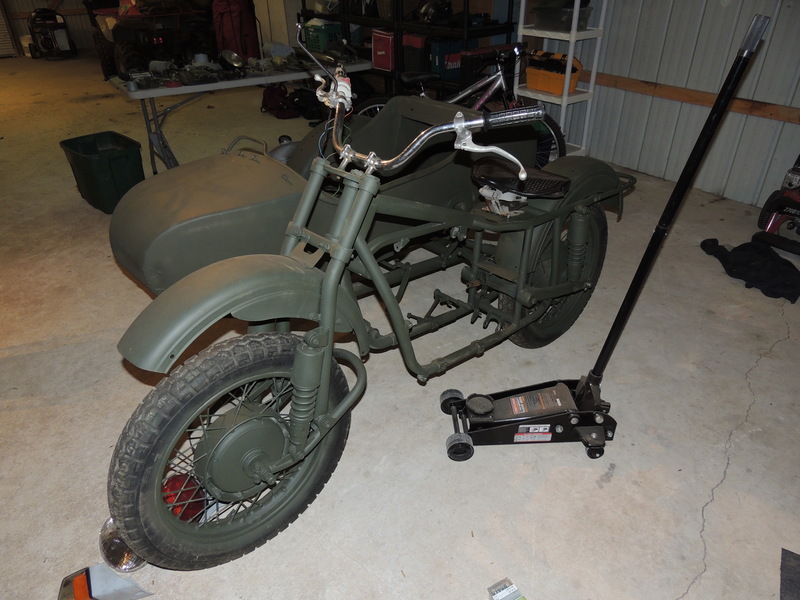 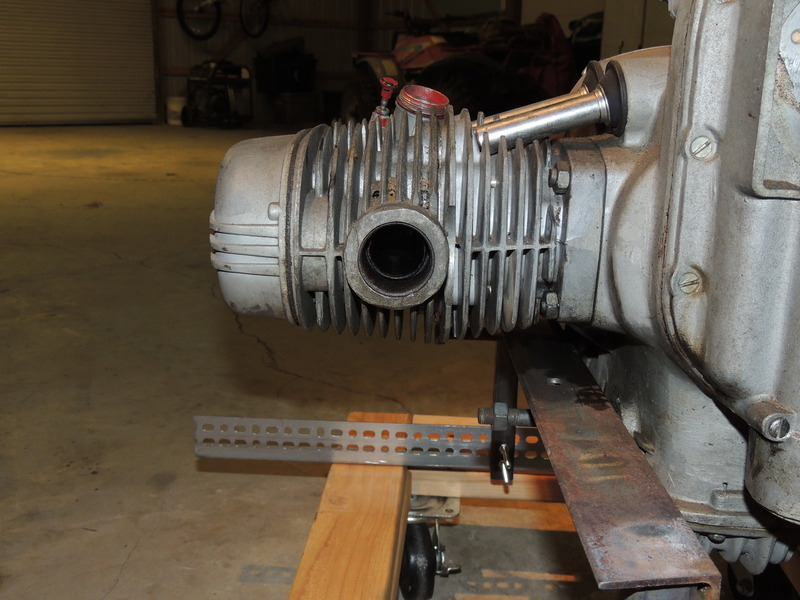 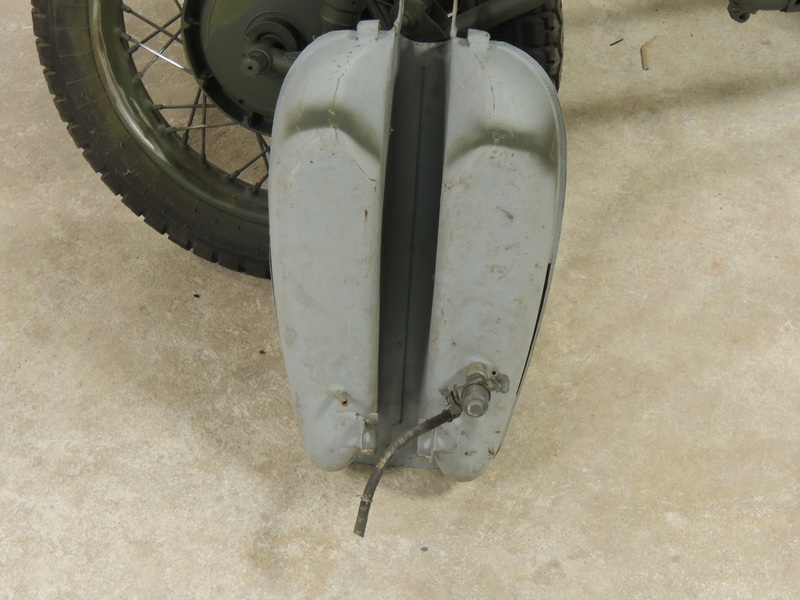 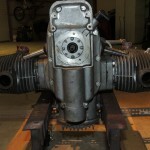 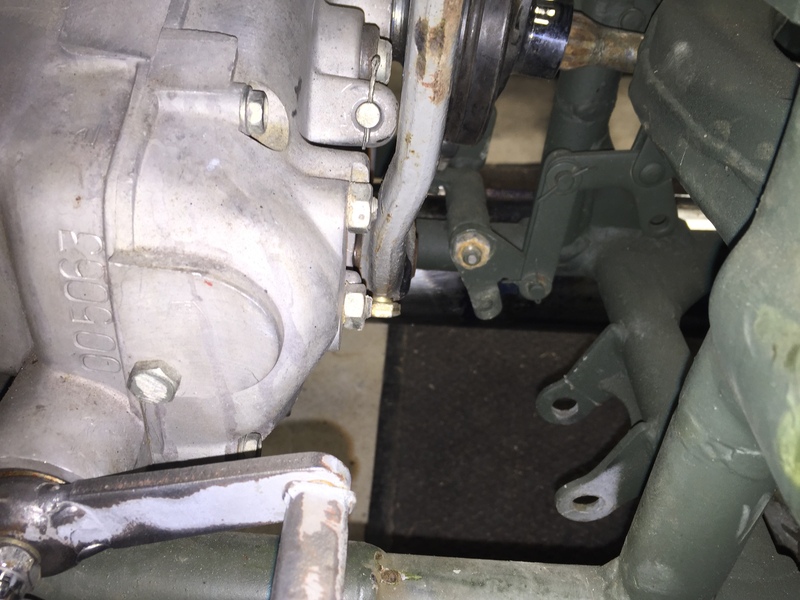 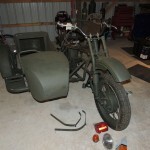 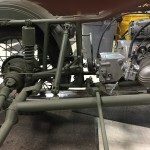 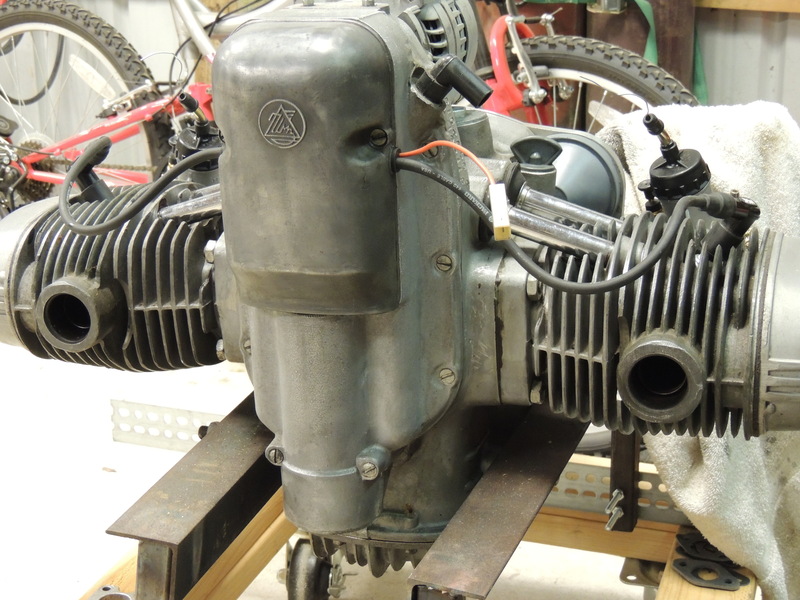 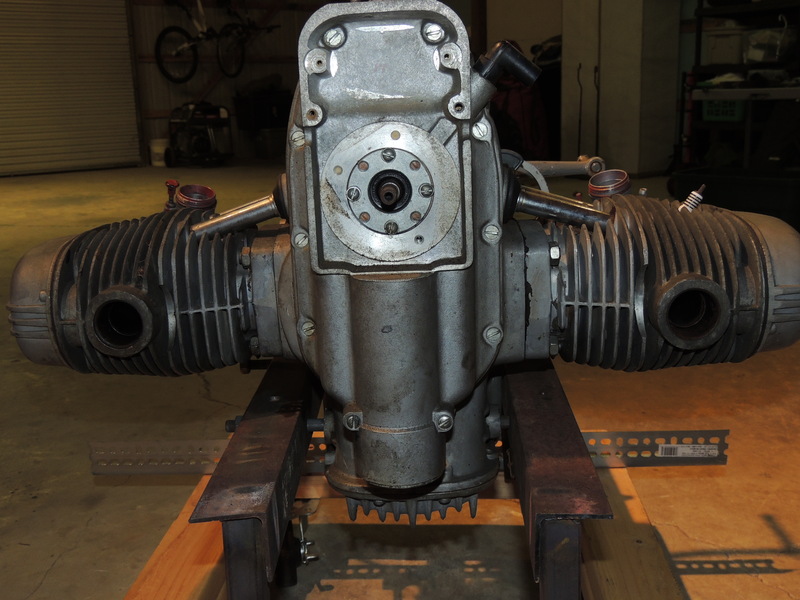 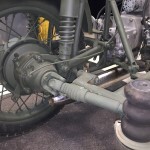 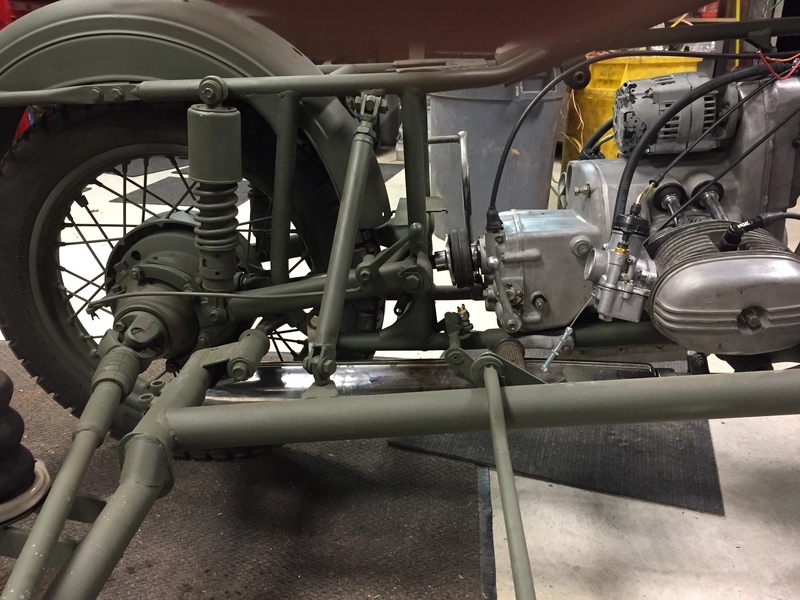 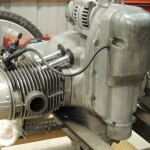 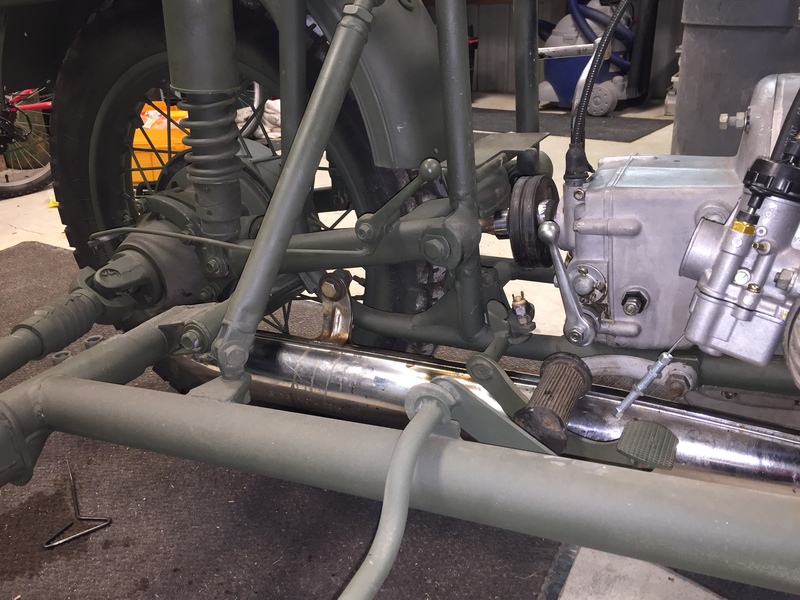 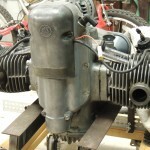 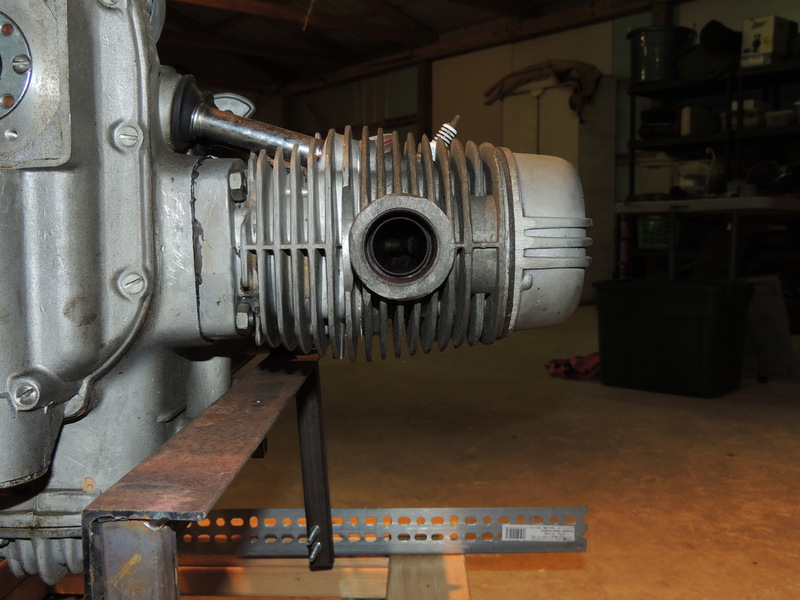 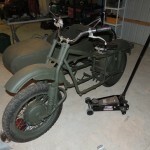 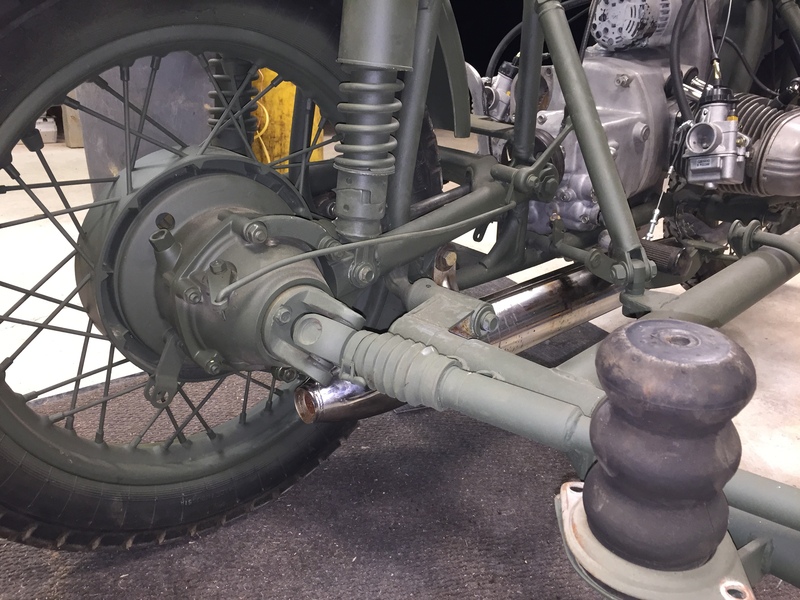 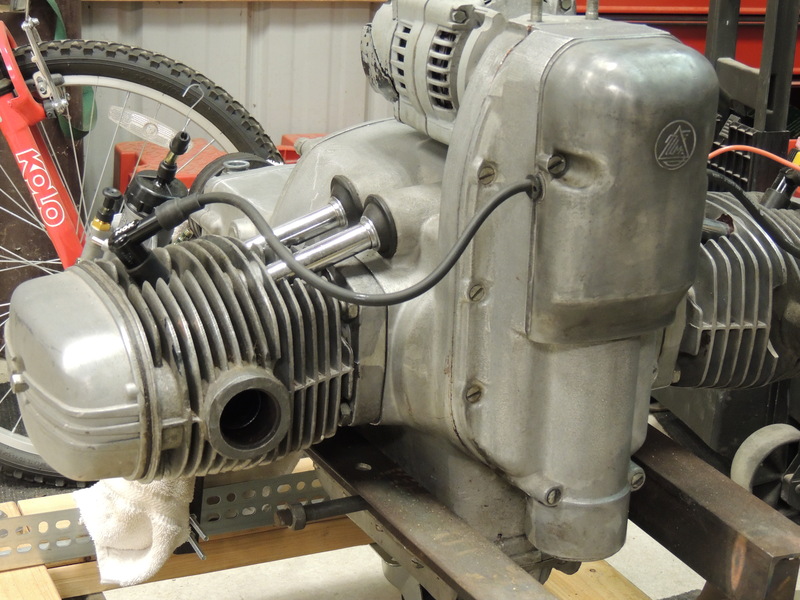 March 12, 2015 – Mounted the new carbs and the ignition over the past few weeks and was able to get the bike started using the BMW battery wired directly to the ignition on the Ural. 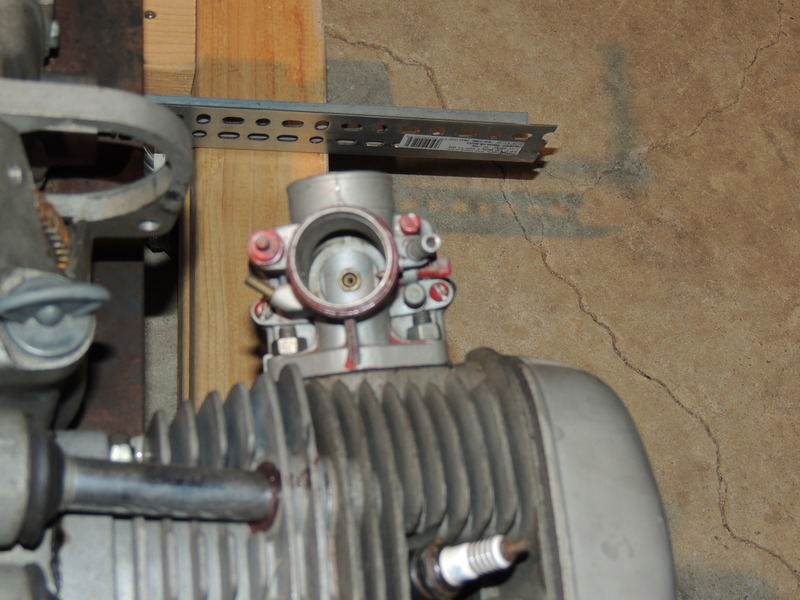 I thought it was going to be a tough go- but after about 30 seconds of kicking… it turned right over. 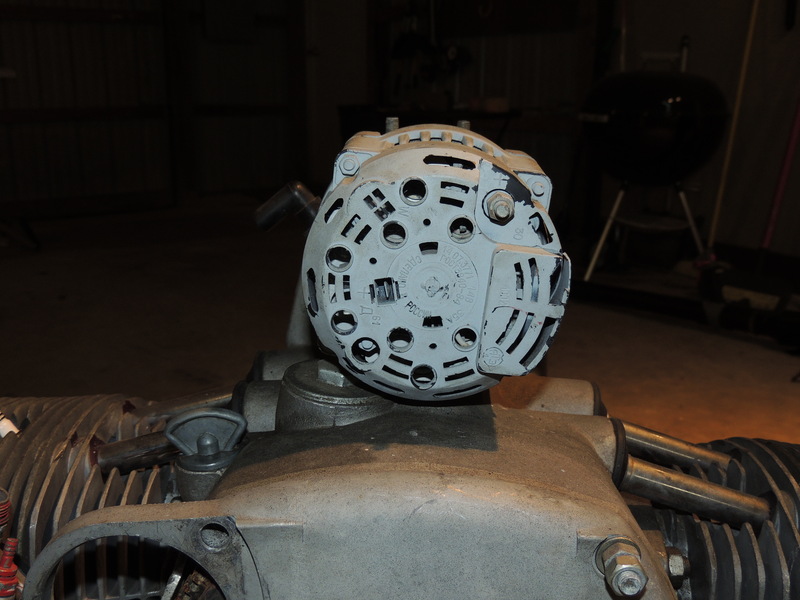 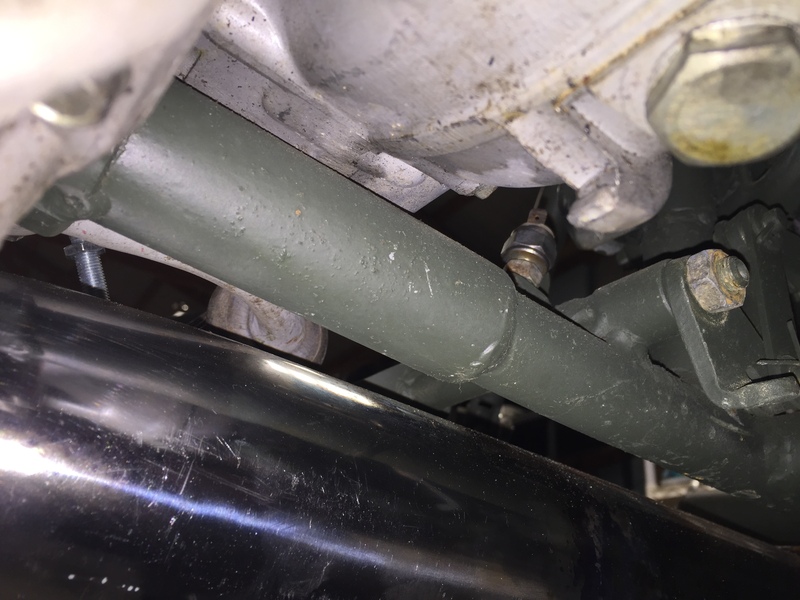 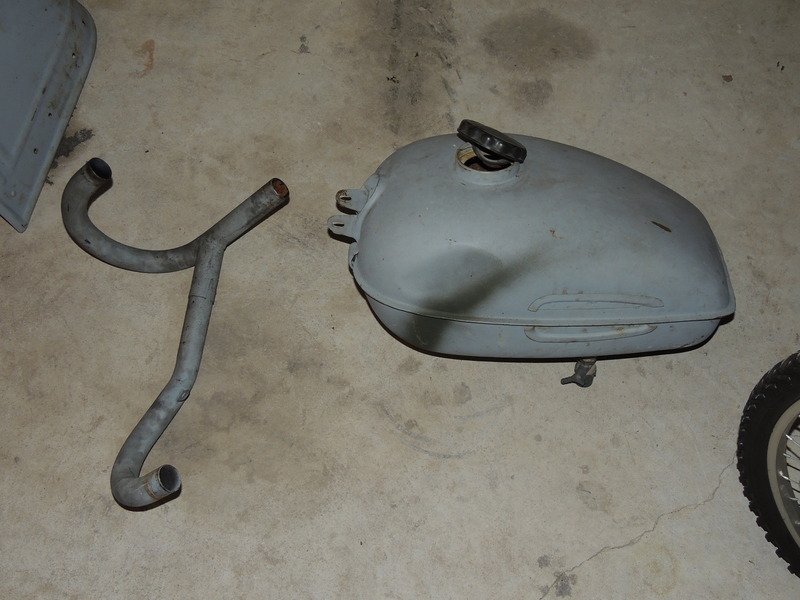 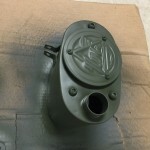 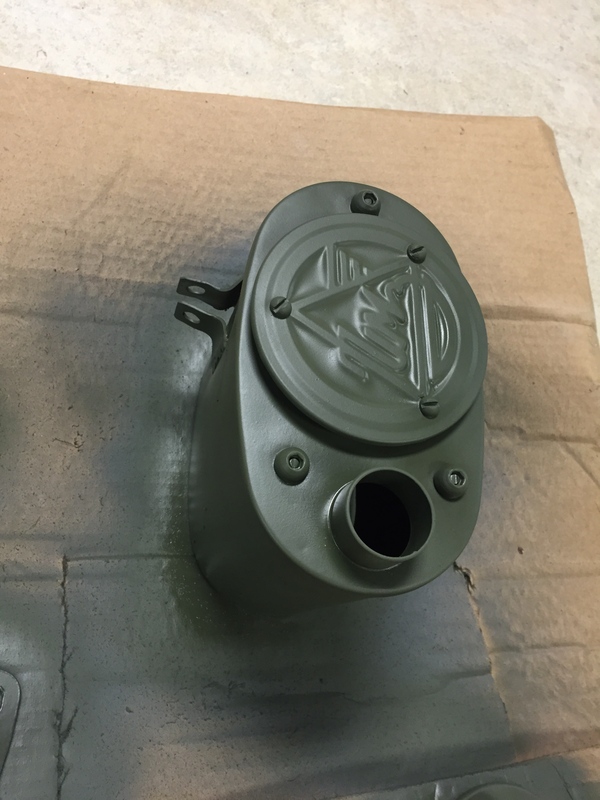 March 13, 2015 – Started de-rusting the inside of the gas tank today. 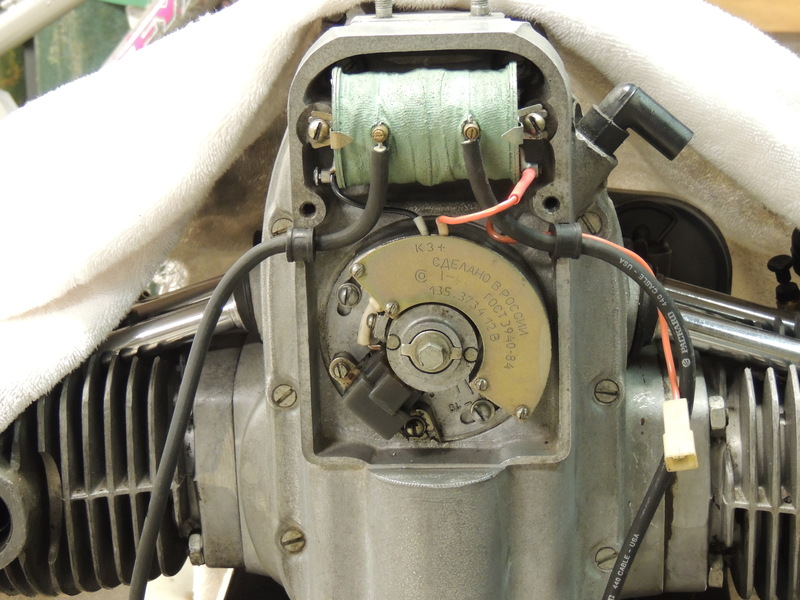 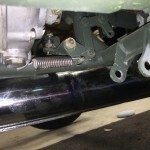 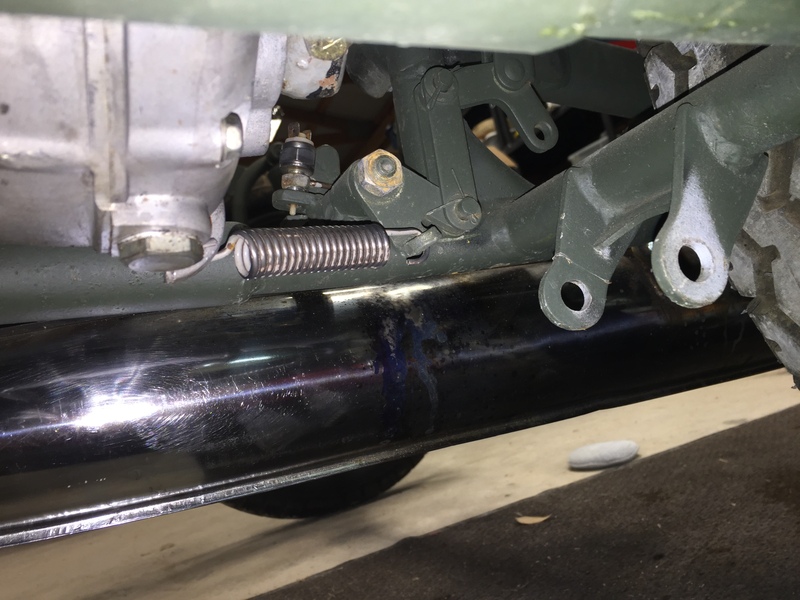 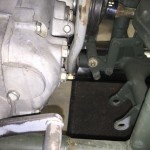 I also connected the throttle assembly to the carburetors and hooked up the exhaust. 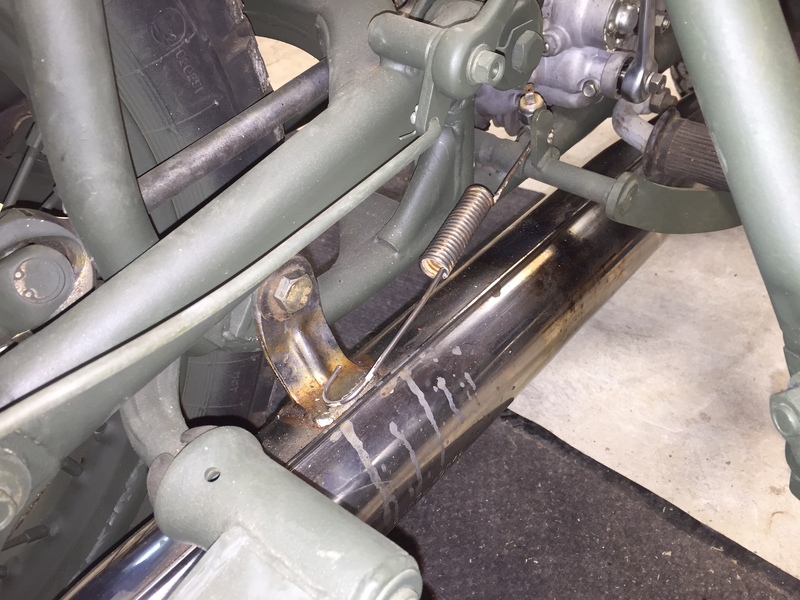 Last night I ordered the new handle bar risers and the petcock from Russian Federation- only cost about $20 and $20 shipping… might see them in a month. 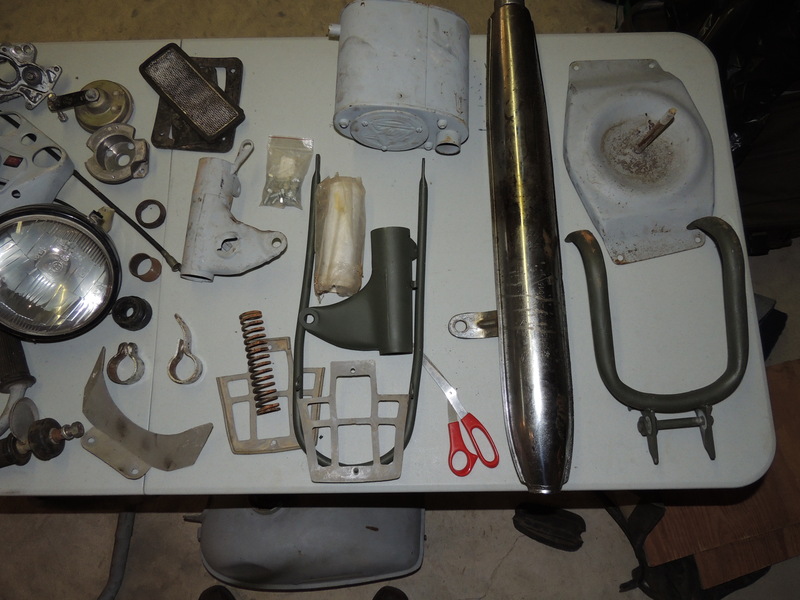 The 4′ x 6′ table of parts that comprised all the parts thrown into the crate is almost bare as I have assembled as much of the parts as possible. 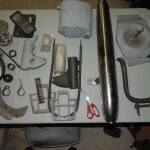 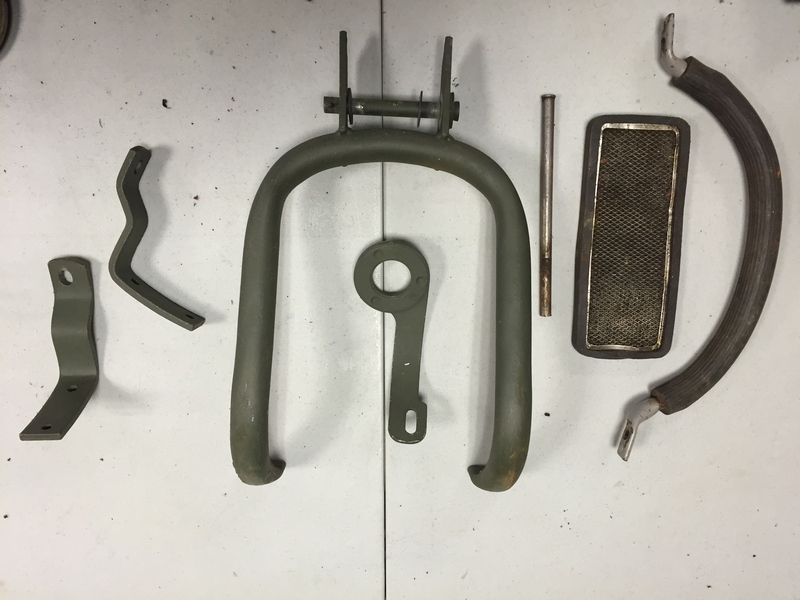 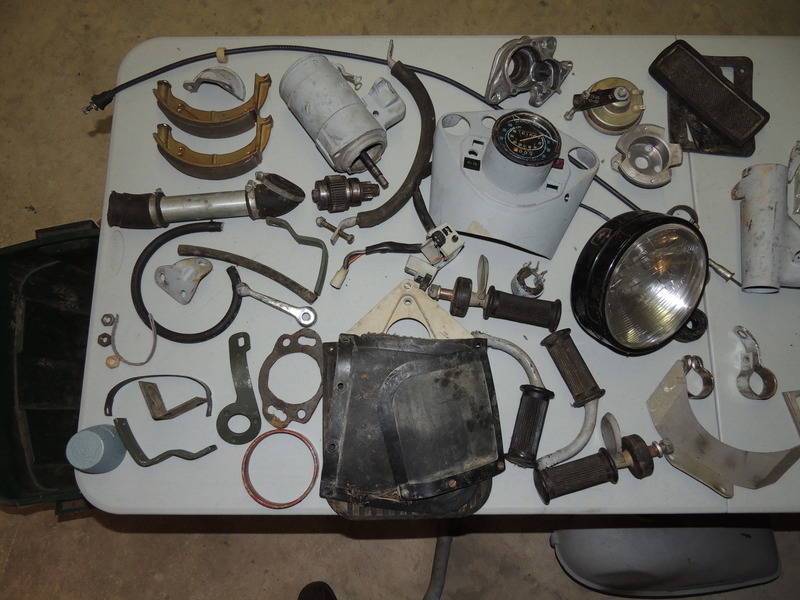 I have a few parts left that I have NO idea where they go or their purpose… any suggestions would be greatly appreciated. 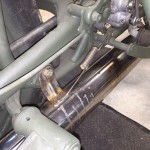 … also greatly appreciated! 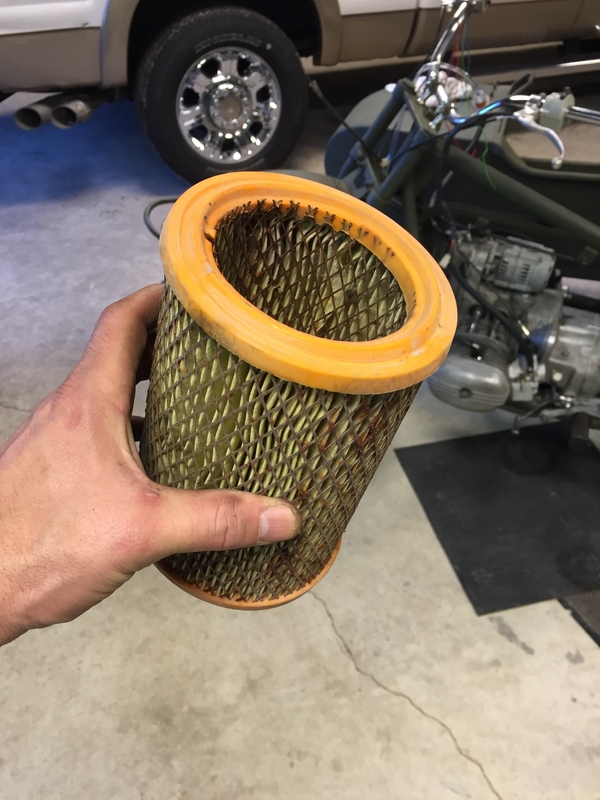 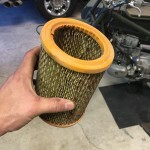 It came from this filter box. 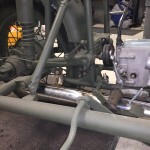 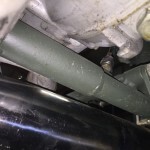 March 18, 2015 – Rear break and center stand assembly… Bural to the white courtesy phone.